With ten 4 - 4.5 star hotels conveniently located in key destinations across Australia and New Zealand, Hotel Grand Chancellor is uniquely suited to host a wide range of events and conferences, catering from small executive meetings for 10 people, to large-scale company-wide conventions of up to 1,100 delegates. Under the guidance and support of Grand Chancellor’s meeting specialists, you and your guests will enjoy personalised service, contemporary conference venues, superlative event planning and banqueting cuisine. Discover the best event spaces in Australia and New Zealand; Grand Chancellor Hotels is here to put on your next great event. Hotel Grand Chancellor Hobart is your premier venue for meetings and events. With 11 different function spaces, we can cater for 5 up to 1100 delegates. Whether it be a board meeting, seminar or training session, you’ll be sure to find the right room for your next event. Hotel Grand Chancellor Brisbane's brand new state of the art Conference Centre presents itself as a unique designer space with 11 purpose-built meeting rooms, allowing for endless possibilities. Natural light beams through floor to ceiling windows, allowing you to absorb the spectacular views of Roma Street Parklands. Hold your next conference in Adelaide at Hotel Grand Chancellor Adelaide, specialising in small meetings, special events, large conferences and Christmas parties. Hotel Grand Chancellor’s experienced, professional team will ensure an impeccably planned occasion. The James Cook Hotel Grand Chancellor is a versatile conference venue for a wide range of events. 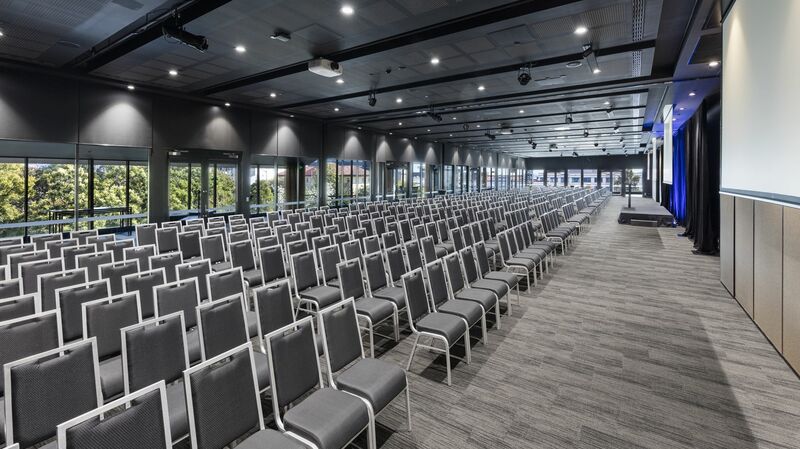 Positioned on The Terrace, the Hotel is walking distance to Shed 6, TSB Arena, Te Papa, The Railway station, prominent Wellington corporations and government offices, and can provide affordable accommodation for event attendees. Select from one of our eight conference rooms and let our event coordinators customise a proposal which is right for you. Choose one of our six well-appointed meeting rooms as the venue for your next banquet or conference of up to 100 delegates. Whether you’re hosting an informal networking breakfast, a tech-savvy sales presentation, training session or a cocktail reception, our meeting and catering experts will ensure a perfectly designed, impeccably executed event. Be inspired to host your next conference or team event at the tropical Palm Cove Conference Centre, based onsite at Hotel Grand Chancellor. A dedicated facility, an experienced team and superb local cuisine all located in a stunning environment, will help to make your conference or event memorable and effective. Hotel Grand Chancellor Townsville offers six versatile meeting rooms, all featuring natural daylight, as well as our rooftop venue for special events. Catering up to 180 delegates theatre style, including the latest AV technology, our meeting facilities are ideal for small to medium sized events, delivered by our professional onsite conference team. With a variety of banqueting menus to choose from, we can cater for a wide range of budgets and tastes.